i heart you coffee: Weekly Project: Closet Makeover! When I left you last Sunday with my New Year's Resolutions post, I mentioned that I was going to start doing weekly mini-goals. In the comments I got a request to do weekly blog posts at the end of the week to showcase my mini goal of that particular week, so here it is… a peek at my weekly project. My mini-goal for the week was to organize my closet, and man, it was quite the project. When I first moved into my condo there was so much to do all at once that I kind of "half-did" everything. It was more important for me to get my living area looking presentable for guests than to "perfect" my closet, so I did just enough to get by. I hung my hanging clothes and unpacked my most-worn shoes, and then stashed the rest of the piles of clothing and shoes in the depths of the closet, hiding them on shelves and under the hanging clothes. Over time, my closet became a bit of a catch-all for things I didn't want to deal with; bins of stuff I didn't feel like sorting, random bags and shoes that were sent from companies that I wasn't sure I wanted to keep but didn't know for sure if I wanted to get rid of them so into the closet they went. Stuff started piling up, and before I knew it my closet was not somewhere I wanted to spend any time. In fact, I completed avoided it all together when I could! I started by pulling out all the stuff that was hiding. Stacks of sweaters, piles of shorts, and boxes (yes, like an entire unpacked box from the move plus more random boxes) of shoes came out of the closet and were deposited in my dining area. My kitchen table and floor looked like a tornado had swept through a boutique. And, for the sake of transparency (and to explain just how much clutter was in this closet), this big stack of bins came out of the closet too. This pile is everything that didn't belong in the closet but ended up in there, along with a bin or two of clutter that was in my bathroom. This little (big!) pile came together quite nicely to show you how easy it is to accumulate clutter when you are unorganized. I had random empty shelves and clothing hanging haphazardly off hangers. I had tangled necklaces, bags, and hats hanging everywhere, and I had dresses and tops and jackets and pants all mixed together in each section. There was absolutely no organization to this closet… everything was just in there. Hanging out. Chilling. But not at all useful in its design. I spent about 4 days on this closet, sorting, purging, putting away, doing laundry, lint-rolling each individual dark-colored item that needed it, trying on every pair of shoes and purging the ones that didn't fit well, and just otherwise being a perfectionist in the details. I can now happily say that I am 90% done. I still need to find places for about 10 more pairs of boots and I need to pick up some bins for the very top shelves, but for the most part my closet is done and beautiful, and I couldn't be happier. 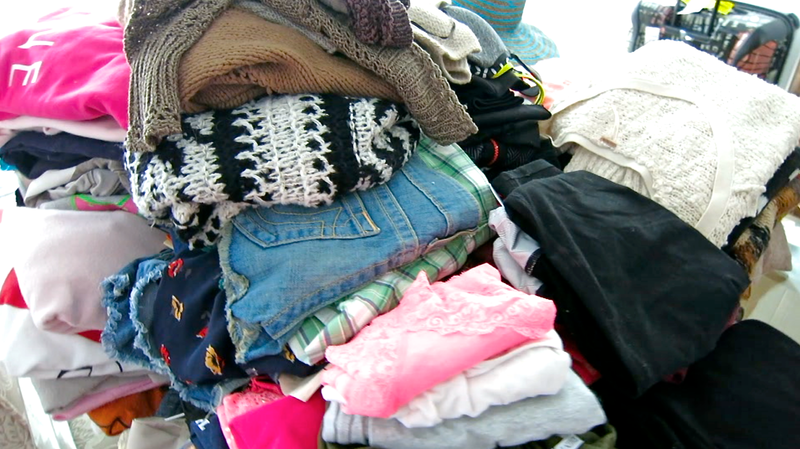 I am planning on doing a full closet tour video on AllThatGlitters21 soon, so be on the look out for that! I'll admit… the bathroom "clutter pile" is still a project in itself, and will probably need to be next week's mini-goal, along with continuing to perfect the final 10% of this closet. Overall I am super pleased with this week's goal and result and I can't wait to share all of the details with you in a video! What do you think of my closet, would you change anything based on what you can see in the pictures? Did any of you accomplish a goal you had set for yourself for this week? Do any of you currently have "disaster closets"? If so, hopefully this post motivated you to clean it out! My closet is in that awkward in-between state where I have all my logo tees/hoodies from middle school and bodycon dresses and suits from college so I REALLY need to organize and get rid of stuff. This post provided some well needed motivation to do that. Can't wait for your closet tour! Nice post! I am all about the organization and re-organization, I love doing that! :) For now I am happy with the way my closet looks like but as soon as the spring start approaching I will give it another make over, just like i do at the beginning of every season! There is something SERIOUSLY satisfying about clearing out your wardrobe! I did it before Xmas and sold loads of things on eBay afterwards - got enough cash to splurge on a few SS14 goodies too! This post makes me VERY jealous, because my closet and dresser and bed drawers (I have a captain's bed) are a total mess. I have yet to get to it as of late, but this post definitely goes me motivation! How do you store your purses? I currently have mine is a bin but I really hate that arrangement because it causes my bags to lose shape. You've done an amazing job, Elle! I know how it feels when you have some parts of your apartment unorganized and cluttered! Yes! That was such a struggle for me last year because I could never find ANYTHING! I will be tackling my closet this spring. I builder gave us 3 closet rods and that is it. Our closet is a nice size but I am thinking about having a custom closet done. I had mine custom done and it was so worth it. Even in my old little rental I had custom closets because it really does make all the difference. Elle I know that this is an old video, but you mentioned at your old place being a rental that you still did custom closet, was it expensive? I currently own my own home and it's got an old built-in wardrobe (not walk in) but I'd like to do a custom wardrobe but don't know if I should DIY Ikea route or just get a builder in to do a custom made. Do you have a link to your old wardrobe? You could use those fuzzy hangers (i don't know what they're made of) so that your clothes won't fall down. They're super slim and reduce the space. I have a total closet envy here lol mine is so small but of course i can't get rid of anything lol. I actually want to make the switch to felt slimline hangers one day but they are SO expensive and I would have to buy a ton because I am weird about having all of my hangers match. Blair switched over when we moved to these condos and dropped a TON of money - but one day I would love to get those! You can get the slimline hangers from TJMaxx, Homegoods or Marshalls. I got all of mine from there or used a 20% off coupon from Bed Bath and Beyond. You can get the slim felt hangers at Costco as well, $50 for 100 or sometimes cheaper when they have a coupon. They tripled the amount my closet could store and I love not having things slipping off. Excellent job! Having an organized closet makes everyday start out feeling easier and on track. We all need to organize in a way that works best for us (so we keep it organized!) so only change it if you think this method would work for you. I organize my hang up clothing a little differently but it works for me because I like the visual color blocking aspect it creates in the closet and it saves me time when creating outfits. It also gives it an immediate neat and tidy appearance. Just like you, I hang all my pants together, skirts together, tops together, etc. but within each clothing category I further sort them all by color… all whites, creams, tans, pinks, purples, blues, teals, greens, red, grays, and of course, black. Within each color section starting left to right, I hang the sleeveless, cap sleeve, short sleeve, ¾ sleeve to long sleeve and whatever prints or multi colored items go in front of the color group that is dominant in that color (arranged left to right) from the most colors to almost solid as well as sleeveless to long sleeved). Same theory with pants - crops to longest (very helpful when shoes are the inspiration), and also for skirts, dresses, jackets from shortest to longest within each color category. I find it easier to pick an outfit by color regardless if my inspiration is a pair of shoes, a piece of jewelry, a scarf, a new pair of pants… or whatever. I usually choose the rest of my outfit based on whatever color the inspiration piece generates. So I just go to the appropriate color section and can immediately find a tank or long sleeved top, depending on what is appropriate for the weather. I also stack my folded sweaters in the same color coded, short to long sleeve method. It does take another minute or two to hang up my laundered clothes, (and seriously, only a minute or two) but I find it is so worth it because it saves me so much more time when I'm creating outfits. 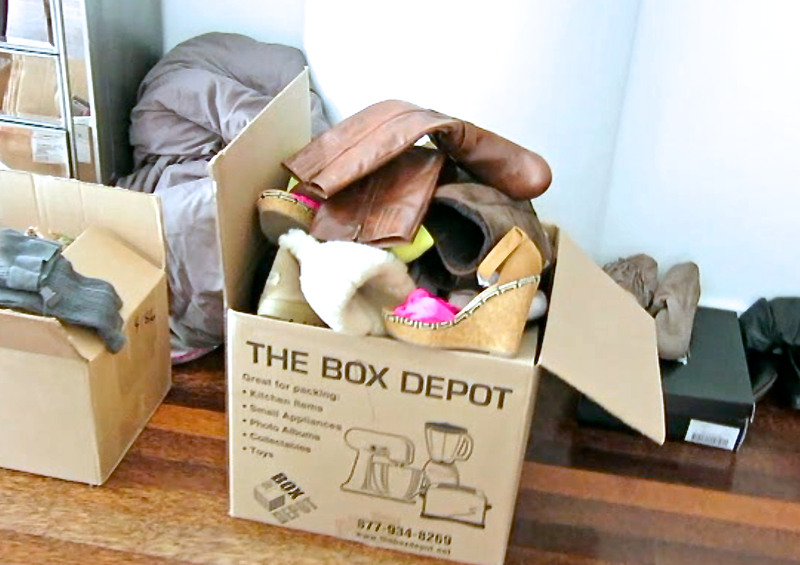 Hope you find this tip helpful and Congratulations on getting your closet better organized!! This method sounds beautiful! Do you have a picture of what yours looks like? I am considering switching to this method. If you do, do you mind tweeting it to me? Wow, who new you had so much stuff! Well great job Elle for getting right into your mini projects! Can't wait to find out what your concurring next week! I LOVE your closet!! I really wish I had a walk in closet but I am okay with what I have now. Maybe, if you organized it by color that would make it look neater and you could find things easier. That's just me though. But,it helps when I am looking for a specific thing to wear for that day! I still need to clean my desk because that is a pile of clutter but I have finals coming up so that little goal will probably have to wait. I will be busy studying! And I do my homework on the dining room table now because my desk is a mess! This post just made me feel guilty about the state of my own closet. Kudos to you for transforming the whole thing in just a few days! It's inspired me to take a look through my things as well. You did a great job! I can't wait to see the video. Getting rid of unwanted stuff really makes like LESS stressful. I should totally do the same, thanks for reminding me! I've been decluttering my closet too- mainly because I am pregnant and nesting. I have given away so many clothes that I am afraid I'll have nothing to wear after I have the baby! You did a great job! It is such a huge task and I actually really need to reorganize as well! It looks nice! I would put the coats in the back, and the smaller shirts where the coats are… that way, you'd have more room to walk! I can't see the whole thing, so I don't know if that's helpful! Looking forward to your tour video! Helped me heaps to unclog all my problem areas. Love it! I'm obsessed with a clean, organized closet that gives off that "boutique" vibe. PS thanks for the organization post, please keep posting, i love this kind of stuff! I go through my closet all the time. Sometimes I get rid of something. sometimes I don't but it really keeps everything organized. That is pretty much what my closet looks like! I have tried to do a total purge like this, but it always ends up reverting back to how it was. That is a goal for the year! Wow, it looks amazing! What a great transformation! Love organizing posts, I could use the inspiration for my own closet! It's really is a large project to tackle but I agree that life feels less stressful when my home is organized! You need to order the huggable hangars from HSN. They have the best prices for buying them in bulk because the creator of the hangars sells them on there. I know my own closet could stand a face lift. My home was built in the early 1900's so it's TINY (since back then, people typically only had a small wardrobe). Loved all the changes you made, totally inspired me for my future closet ! I think you should DEFINETLY go for the pink hangers. 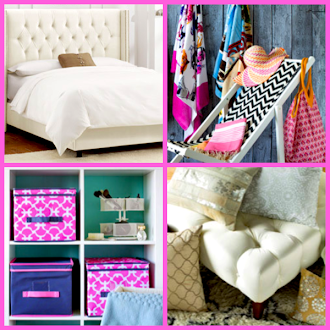 They will give your closet a huge pop of color and it will look so pretty. I have pink hangers very similar to those ones and I love them so much! I am trying to order the life planner but I can not get the $10 off credit. HELP! I want it now!!! !